On this page some pictures I (and others) took of YLG are shown. 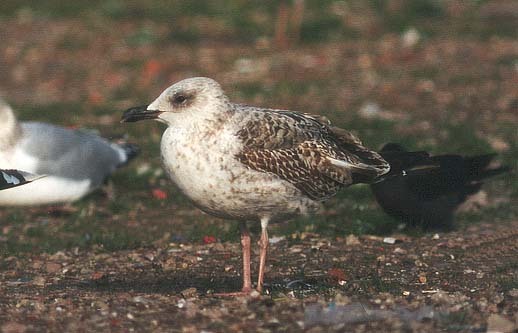 Juvenile moulting to 1st winter. Scheveningen, august 1999 Picture by Nils van Duivendijk. 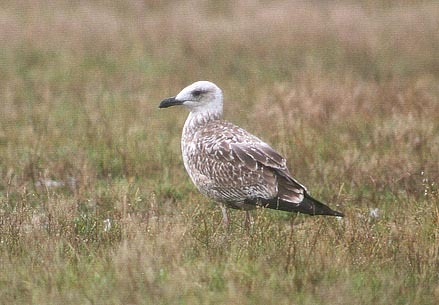 This quite large YLG (juvenile, moulting into 1st winter plumage) was photographed at Eemshaven (Gr.) on 22 August 1999. 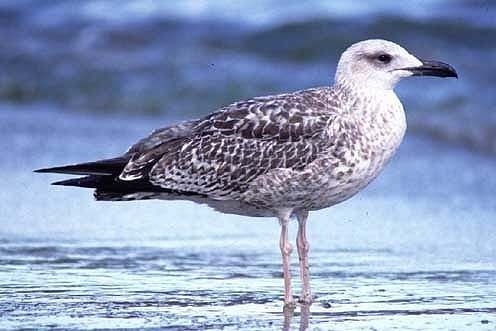 Note its headshape, bulky chest, white head and some 1st winter scapulars. 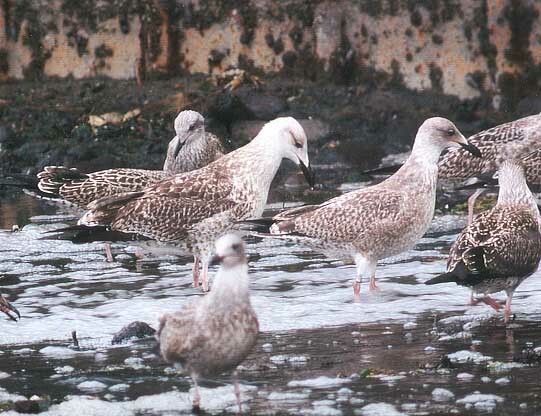 Juvenile moulting to 1st winter plumage. 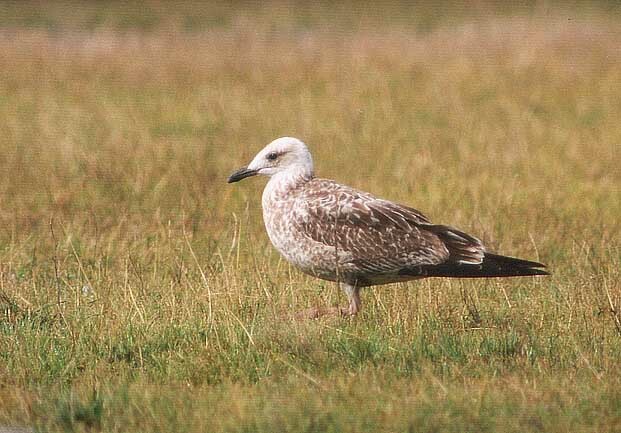 The pictures above and on the left were taken on 18 September 1999 at Wijster, Drenthe, and no, this isn't a Pontic Gull L. cachinnans but a small and elongated 1st winter YLG. A cachinnans would show a completely snow-white head and a light-grey mantle and scapulars with a different marking i.e. 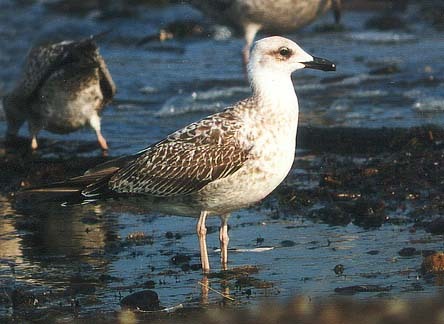 narrow shaft and anchor, whereas this bird shows a typical bold double anchor. 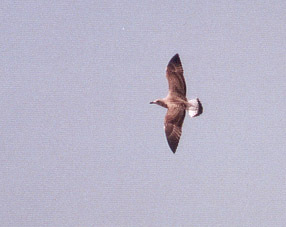 When it flew up it showed a typical YLG-tail (see top photo) and darkish underwings.